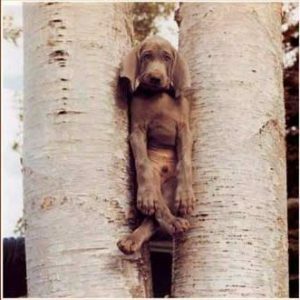 Do you ever feel stuck in your learning? Or even in your life? This is a feeling we all suffer from at some point. It can be awful, frustrating, and even tortuous. When we are learning a language, and we hit a plateau–we feel like no matter how much we practice, we remain at the same level–we barely progress. The reason why this is such an unpleasant feeling is because we start out learning so quickly. It seems like a huge victory the first time you have a conversation with a native speaker, or the first time that you understand the television or radio. Soon, however, what were before great accomplishments become commonplace. They no longer seem like something to reward yourself for. This quiescent period does not have to be permanent, nor should it be. So today I am going to tell you what is really keeping you from fluency and from reaching your true potential in everything you do. A lot of my friends and students tell me that they would LOVE to follow some dream, to go on some adventure, or accomplish some goal–but they can’t. In a perfect world they would go after that dream, but because of all of these external factors or because of other people, they can’t. Where can I get the money? What will I do without this job? Stagnation can also be a result of one’s own values. I’ve met many people who have told me that they would love to travel, but they just don’t have the money. They then continue to show me their latest version of a new fancy smartphone or tell me about the crazy party last weekend (where they of course spent 50 dollars on drinks). So they say, “I don’t have money,” but what they really mean is, “traveling isn’t a priority.” Be honest, how many times have your spent money on something that you do not need? The same argument goes for time. How much time do we all waste watching TV (in our native language), playing video games, surfing the internet, or staring at pictures of adorable kittens? You are only guaranteed this one life; don’t live it with regrets. Enough of talking about all of the excuses that we know we all make; it’s time to talk about a solution. I did not say that it would be easy, but stretching yourself is the fastest way to get closer to any goal. Sure, you can stay in that spot where you feel comfortable, but you can only expect the exact same results that you’ve had. 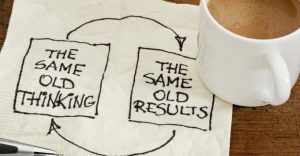 However, if you’ve ever complained because you want things to be different, you want to improve at something, or you want to do something new, then you’re going to have to push yourself beyond your current limits. You’ll have to make yourself uncomfortable. A metaphor that explains this well is to imagine that physically you are not very flexible and you want to be able to touch your toes. The only way to accomplish this small goal is to try every day, but it’s not enough to just reach down, you have to push your fingertips towards your toes until the backs of your legs are uncomfortable, AND you have to do this every day. At first it won’t feel good; depending on your flexibility, it might even be excruciating, but over time you will get closer and closer to touching your toes, until eventually, one day, you are finally able to touch them! Not only that, but if you keep this habit, eventually it will be easy to bend over and hold your toes for minutes, and you can move on to bigger goals, like complex yoga poses. This is like when learning a language, if you keep doing the exact same comfortable thing, your level will probably stay the same as it’s been. You’ll stay on that plateau. But when you really push yourself to a level of discomfort is when you have the fastest growth, and you learn the most. For example, the first time you open your mouth and speak you are terrified about so many things (am I making a lot of mistakes? Do I sound stupid? Is the other person going to laugh at me? Are they bored? ), but if you want to get better, then you have to push through that discomfort until it becomes natural. I wrote this article not to criticize lazy language learners, but as a reminder to myself. I sometimes find myself wasting time or money that I know could be better spent on traveling and language learning. I have recently had to overcome my own resistance and shyness to talk to people via Skype–but it has been well worth it to help myself conveniently improve languages I’m learning. I’m not saying that we all need to be completely strict on ourselves, never go out, and sit inside working or studying all the time–not at all. I believe in everything in moderation. However, we have to remember to not let temporary fun get in the way of our dreams or keep us from our higher potential. We need to make those small investments every day that will contribute to reaching our full potential. If you consistently stretch yourself a little bit, try to be a little bit better every day, then, little by little, you are bound to reach your goals. I recently feel stuck in my learning English and also in my life. This article is very helpful to get over the situation. Thank you so much. Thank you Ethan for your gentle reminder to stretch yourself in English. Indeed! A little (bit) goes a long way….and you’ll be amazed by the result. Thank you Ethan, great article. As they say… Life begins at the end of your comfort zone. Thank you Ethan for the simple but really true idea – we need to feel uncomfortable sometimes to improve ourselves! 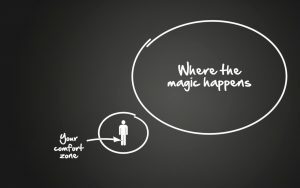 I really liked this article, and I think comfort zone is a trap. I’ve been living this problem almost every day, keeping myself in touch with those ones who are faint hearted and don’t get to follow a study routine, they just give up without trying enough. Whether it was easy, everybody would know another language. I hope so about learning English,thankfully to you. Very nice article, life beging where comfort zone ends! I’ve seen this article simple out of this word, completely amazing. Thank you guys you’re without doubt the best. See you later. Thanks for reading and supporting us, José! Aww Yeah Atakan, That’s great! We’re glad it was useful. Have a great day! Thank you for these usefull articles that always teach me something new.